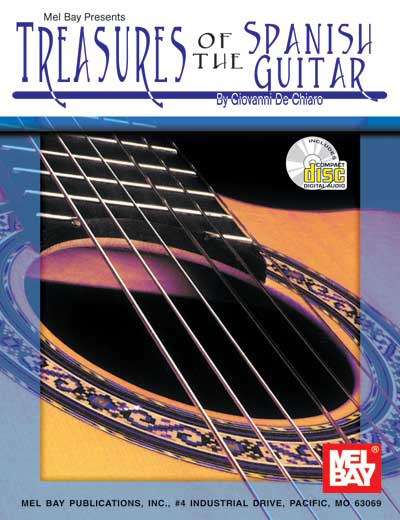 This fine solo guitar text, written in notation and tablature, offers a brilliant array of music from many centuries. Composers represented (Aguado, Tarrega, Sanz, Angurea, and others) present a colorful spectrum of the melodies, styles, moods, and temperaments that have characterized guitar music of Spain. The instrumentation on the recording is the solo classical guitar. It is a stereo recording, and it does contain every selection in the book. None of the repeats suggested in the printed scores have been taken off or put on the recording. It is up to the discretion of the individual performer to add or delete these as necessary.